Where are some famous buttes? Today’s Wonder of the Day was inspired by Charleigh. Charleigh Wonders, “How are buttes made?” Thanks for WONDERing with us, Charleigh! Would you like to have been one of the first explorers to venture into the Old West? Today, places like Colorado, Montana, Wyoming, Utah, and California call adventurers and nature lovers to their beautiful sights. Can you imagine what it would have been like to travel miles and miles to finally be greeted by the majestic Rocky Mountains? We WONDER what explorers thought when they first saw the tall, isolated rock formations of Monument Valley in Utah. What are we talking about? Buttes, of course! A butte is a prominent isolated hill with steep sides and a small, flat top. In fact, the word “butte" comes from a French word meaning “small hill." A related geological feature is the mesa, which is distinguished from the butte by its much larger size. 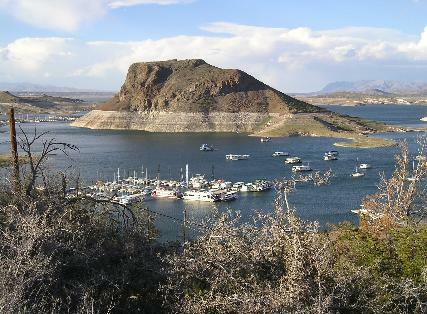 Buttes, for example, usually have a surface area of less than 10,000 square feet. Mesas, on the other hand, can have as much as four square miles of surface area. In addition to size, geographers often use another simpler way to differentiate buttes from mesas. Mesas have tops that are wider than they are tall, while buttes are taller than they are wide. Both buttes and mesas are formed by the scientific process of physical weathering of rock formations. Weathering refers to the process by which rocks are broken down into smaller pieces without substantial movement. Buttes and mesas, for example, are formed when the surface material of a hill or a mountain — called the cap rock — resists physical weathering but underlying materials (usually softer rock) do not. Over time, the underlying materials break down through a process called erosion, leaving an isolated, flat-topped hill called a butte (or a mesa if it's really large). Tomorrow’s Wonder of the Day takes us on a trip to China to visit a sacred mountain! When you look at pictures of buttes (such as the ones in the links above), what thoughts come to mind? What words would you use to describe them? What adjectives best describe buttes? Now imagine that you are an explorer in the Wild West 200 years ago. You come upon a butte and certain words spring to mind. Based upon those words, what might you have named these buttes? Can you come up with alternative names for buttes that might better describe how you feel about them when you see them? Let your imagination roam free! Want to see the effects of weathering and erosion firsthand? Try your own backyard weathering/erosion experiment! Check out the link to read about how one family conducted their own backyard weathering/erosion experiment. You can copy what they did, or you can come up with a similar experiment on your own. Basically, you just need a large pile of dirt that you can let sit undisturbed by everything but the weather. Careful measurement and recording will be required, so that you can track the process of erosion. You may also want to take a series of pictures over the course of your experiment, so that you can show others images of the process over time to help explain your empirical findings. Have fun! Hey Ryland I like chicken nuggets do you? Thanks, Ryland! You might also like Wonder 2187: Do Chickens Make Good Pets? That video was actually interesting. I liked it. We did not know that, Caleb! Glad we could learn something new today. Thanks for sharing! Wow! I learned a lot about buttes! The slideshow of the pictures was AMAZING! It was so beautiful and peaceful. I love wondering! That was really interesting, not what we were expecting. Who knew "buttes" could be so mesmerizing (and funny). :) The rocks that you showed were really inspiring. We are going to learn about erosion and weathering, so this is a great video for learning. P.S. We think one of the buttes looked like a snail. The beautiful veiw is the best and I'm in Mrs. Hess' class. I love your website. What a wonderful wonder I really enjoyed today's wonder of the day I also liked the video it made my day. Loved the video of Monument Valley. It was beautiful. My parents visited there many years ago and said it was on the Navajo Reservation. We especially liked learning the difference between a butte and a mesa. We think tomorrow's wonder will be about the prairie - "oh give me a home, where the buffalo roam." I really enjoyed the this wonder, I liked the picture with the rainbow in the background. Also, I was correct from yesterday I said," I think tomorrow will be about pretty places to visit." I think tomorrow will be about the Everglades National Park because lots of animals roam around there. Hello fellows! I'm in Mrs. Hess' class and I think this video is BEAUTIFUL and WONDERFUL! Who invited those rocks? Do people live there? How many rocks are there in the video? I love to see rainbows in the amazing video! I think tomorrow's WONDER OF THE DAY is about tigers, lions, cows, insects, pets... and have a great daytime! P.S. I LOVE YOUR WONDERFUL WEBSITE!!!!!!! The word “butte” comes from a French word meaning what? Buttes are taller than they are wide while what have tops that are wider than they are tall? Buttes and mesas are usually found in what type of area?